This might seem like a ridiculous recipe. Boiling a plantain seems easy enough, right? Well, it really depends. Plus, people tend to do it differently. On another note, you’d be surprised at how many people have no idea what to do with a plantain. I was at the grocery store in the produce section examining which plantains I wanted to put into my basket. I was excited because it’s not often I see plantains there. This was in the suburbs near Chicago. I was assuming it was a seasonal thing because in Florida, it doesn’t matter what time of the year it is, I always found plantains in the store. Anyway, this basic method is one I learned from my mother. It was the only method I ever knew, and I thought this was the only way. That is until I met my mother-in-law. I was surprised because she boiled them with the skin fully removed. My mom always boiled them with the skin on. 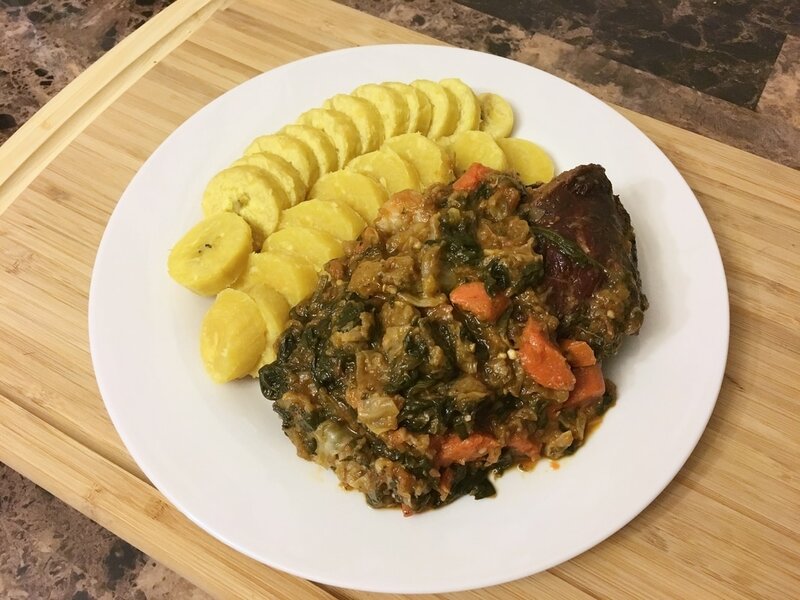 Aside from this, a boiled plantain can be accompanied with a variety of things. You can have it with a side of legume, fried eggs, meat with sauce, “sos pwa”, fish, and the list goes on. ​1. 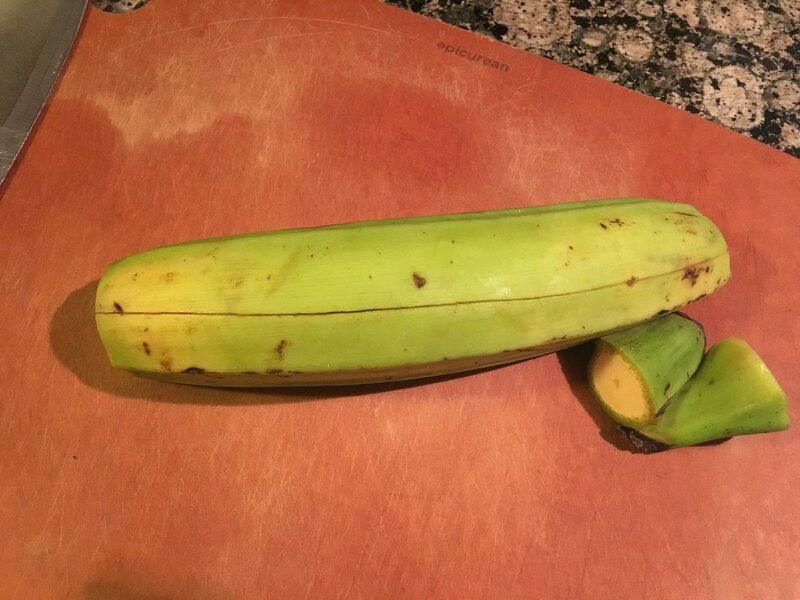 After rinsing off the plantain, cut off both ends. 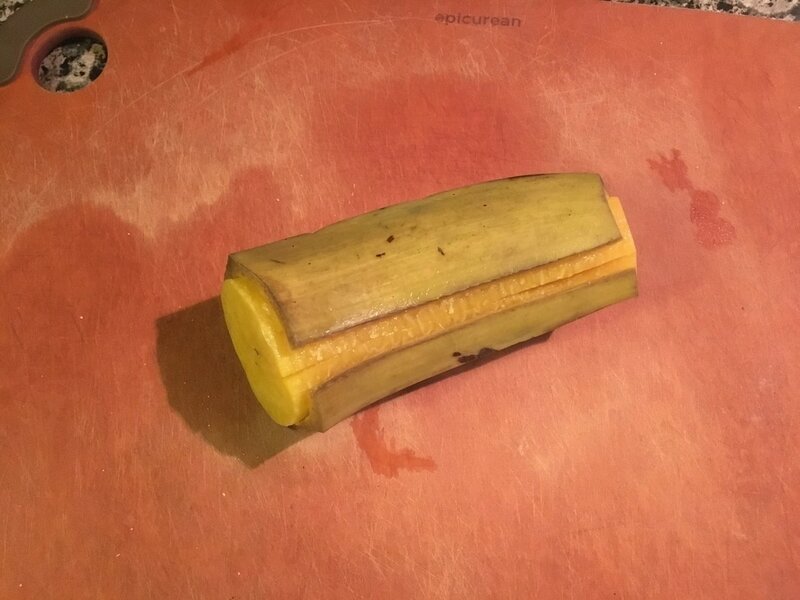 Then, run a knife from the top of the plantain to the bottom, lengthwise, to form a slit through the skin. As the plantain boils, it will allow the skin to peel off much easier. *You can see from this image the slit that was made along the spine of this plantain. 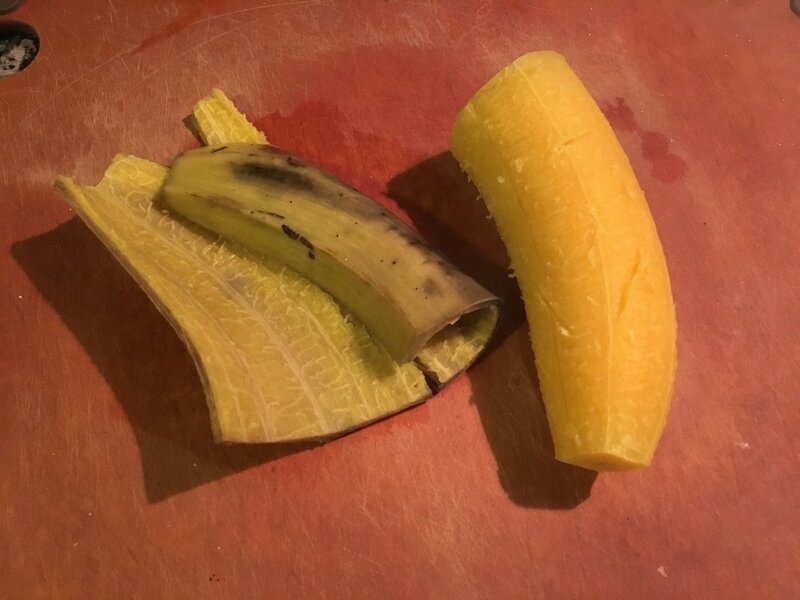 It doesn't matter what side of the plantain the slit is made, as long as the slit was deep enough to cut through the entire skin layer. *Based on your preference, you can cut the plantains in half along it's width, or leave it as is. I prefer cutting them in half. 2. In a pot large enough to hold the amount of plantains you plan to boil, put in the plantains and add water to fully submerge them. Salt the water to taste (the same way you would salt pasta water when boiling pasta) and add 1 tbsp. of white vinegar. As a general rule of thumb, you can add 1 tbsp. of vinegar to every 2 – 4 plantains. More than 4 plantains definitely require more water and you can add additional vinegar as needed. The purpose of the vinegar is to keep the plantain from turning brown or darkening in color, as stated from my mother. 3. Place lid on pot and bring up to a roaring boil on high heat. 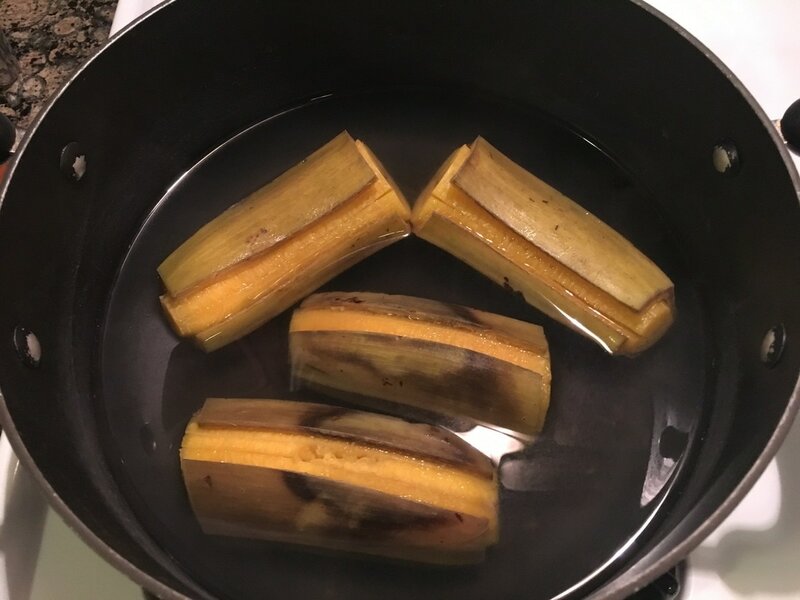 Boil the plantains for about 30 minutes. 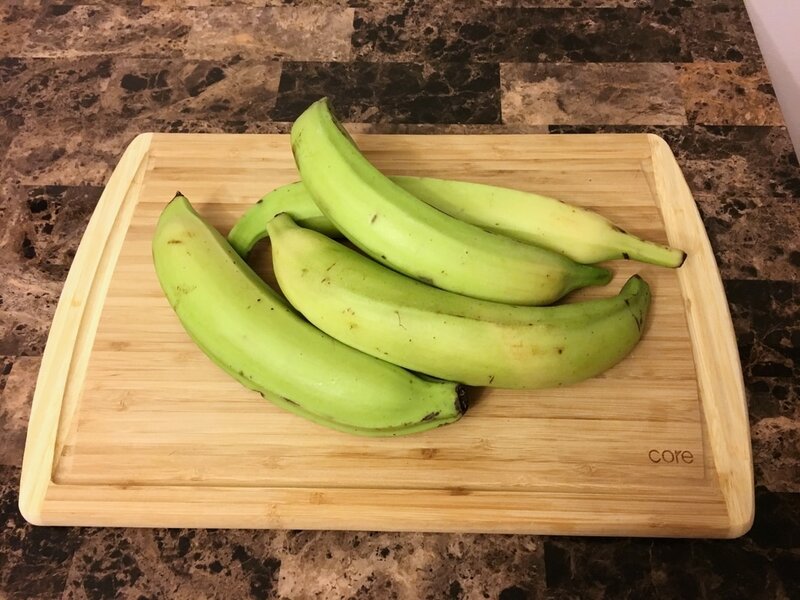 Another rule of thumb, the greener the plantain, the longer it takes to cook vs. if it has begun to ripen, then it may take a little less time. *Notice during the cooking process how the skin splits and retracts from the slit that was made. 4. Once it has cooked through (you can easily pierce it with a fork) turn off the heat. Peel off the skin. 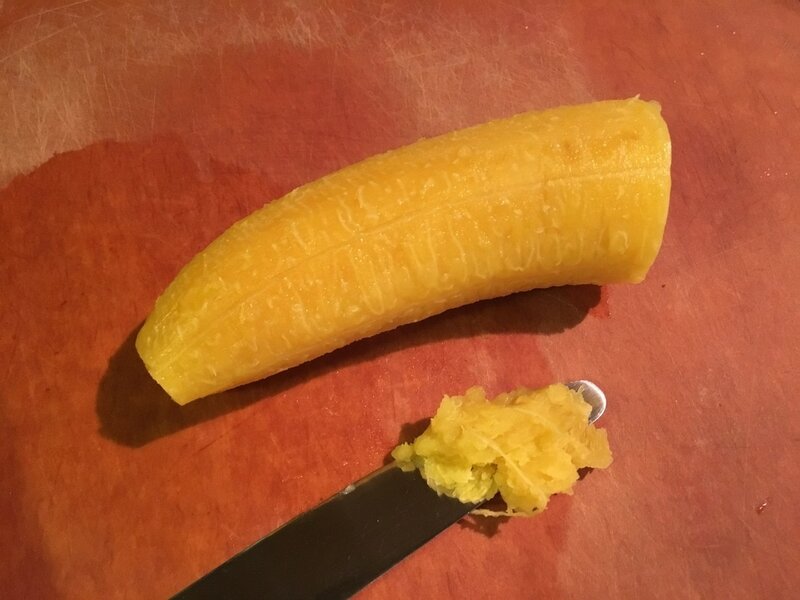 Using a butter knife, run it across the plantain on all sides to remove its first layer. 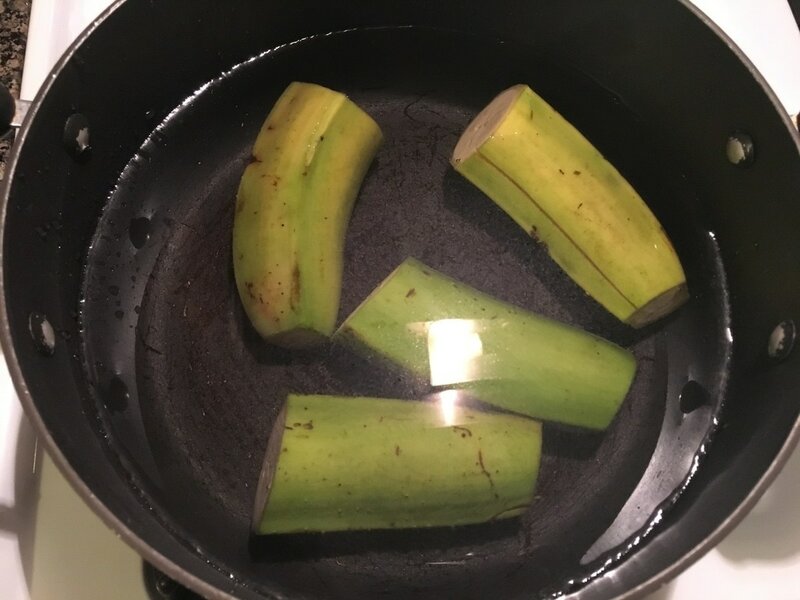 Either do this when the plantain has become cool enough to handle, or place it under cold running water for a few seconds at a time while you scrape off the outer layer. Once the outer layer is removed, the plantains are ready to be enjoyed any way you’d like. 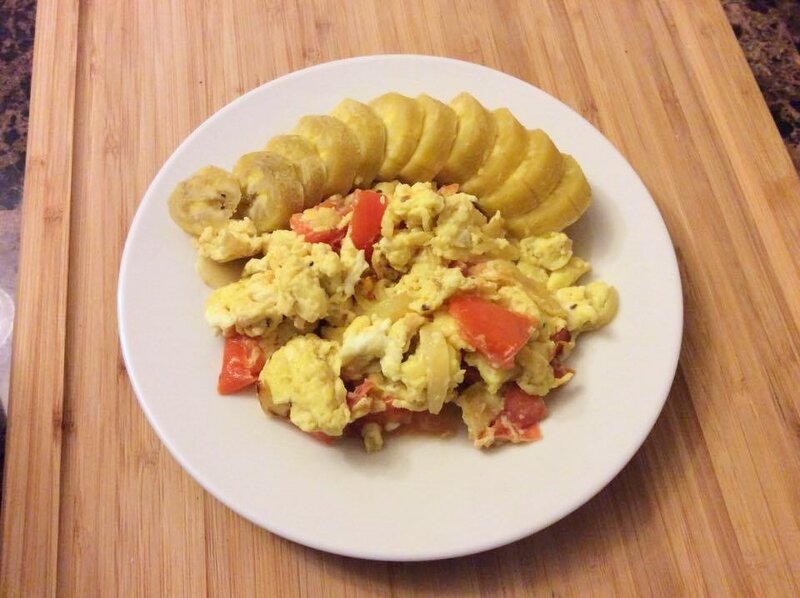 Do you have a different method of boiling plantains? 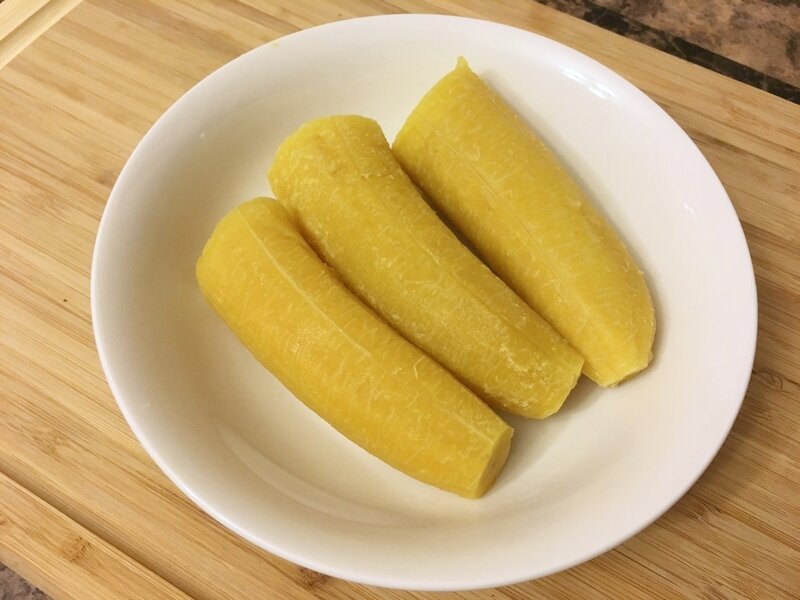 What do you accompany your boiled plantains with?